This machine used for gluing the hot melt on the dust mask filter, so that increasing the sealing performance. 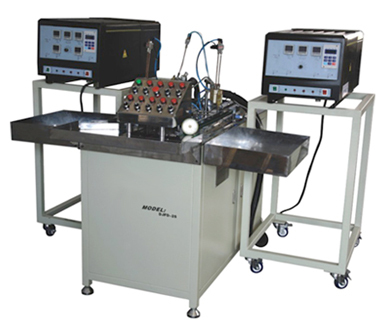 1.This machine can perform the complete circulation of loading, inner gluing and edge gluing. lt is fast speed and high efficiency. 2.The gluing amount can be adjusted by the speed and the temperature of the hot melt applicator. And it makes gluing much more evenly.